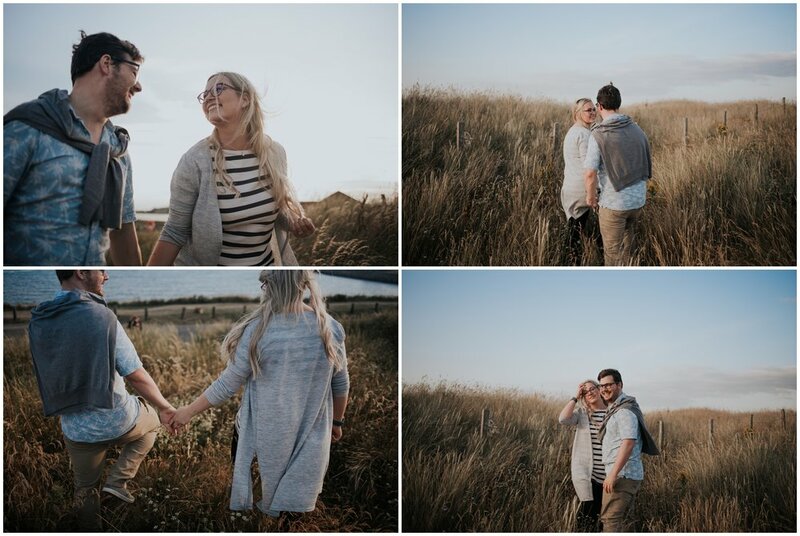 After, a wild and crazy few months, I am so happy to share this engagement session with you that I shot yesterday, with the help of my wing woman Robyn, on the beach of the idyllic small town of Elie. Last time I was in this town was on a yoga retreat, it is just the cutest. Anna & Bobby picked this place because this is where Bobby proposed! 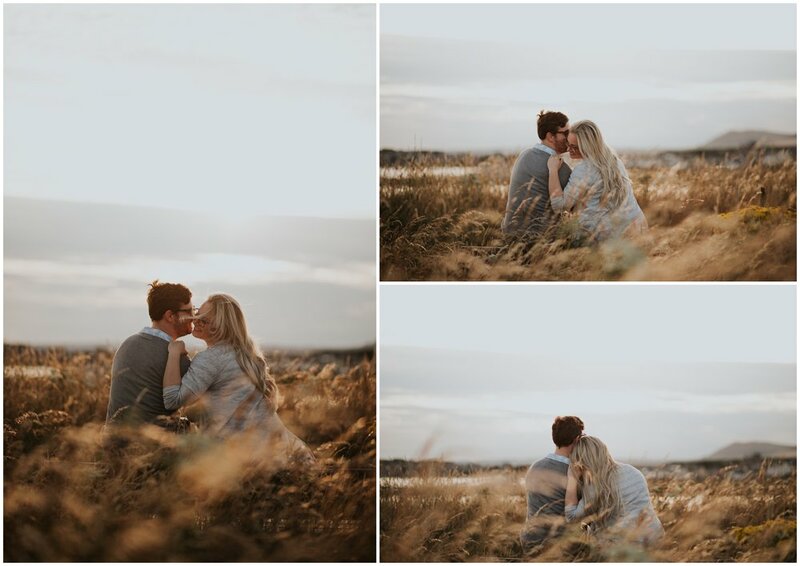 Which we re-anacted, this is a selection of my favourite beach-y and a few urban shots from this session, and you lucky pups have even got some behind the scenes at the end of myself and Robyn at 'work'- haha! Okay please forgive me for being a over baked potato, I did not plan on getting my photo taken, nor clearly am I conscious of them being taken but I still love these pictures by Robyn Stewart, who is a wonderful help no end in every aspect. Also got a wee couple of snaps of this beautiful glowing red head, looking like I am a slave driver! :P Thanks so much Robyn.